Are you tired of searching for quality printables for your preschooler? Do you just want the ability to grab an engaging printable without spending two hours to find it? Well I created a list to help you out! As a busy mom of twin preschoolers (+ 6 & 8 yr old), I don’t have the luxury to search the Internet all day looking for free preschool printables. I have been using School Sparks since my oldest was a toddler. I love their clean simple sheets for preschool practice. You can only download one page at a time, but since it is free I can’t complain. This Reading Mama has tons of free preschool and elementary printables available for use. There are also good tips about teaching your child to read. She has a Letter of the Week curriculum that is a good starting point for learning the alphabet. The Measured Mom has a lot of free resources on her website for parents and teachers. With over 1,000 free printables, you are sure to find something to help you teach your preschooler. I recently found out about Itsy Bitsy fun as I was searching for a printable to go along with our mini-unit. I like how she breaks everything up into themes and has complete mini-units for each topic. Of course I will list my own website! Once you click on the subject area of your choice, you can click on each theme to find the printable that you need. As a former elementary teacher with over 10 years experience, and mom of 4, I know how to create preschool worksheets that don’t feel like work to your child. 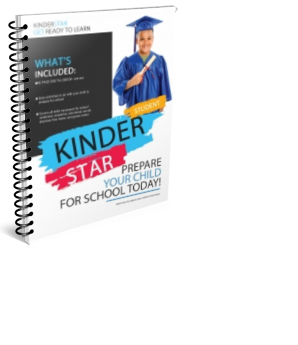 All of my printables are centered around the common theme of preparing a child for kindergarten. Also once you sign up for the newsletter, you will be able to access even more preschool printables that are exclusive for subscribers only. My son loves her free Alphabet tracing tracks. This website gives frees preschool printables as well as Science tips and fun experiments. Prekinders is a great website because since she is a preschool teacher her printables have been tested in the classroom. I like how she also gives other ideas for each theme besides just the printable. Preschool is supposed to be fun, so she includes dramatic play ideas, games, and other skills that your child will need to learn all in the same theme. Ok, so technically this website is geared towards crafts with your preschooler, but there are printables available for us not so artsy moms. Any lesson that I teach with my twins I like to include an art project to go along with it. This site makes it so easy to do simple art with your preschooler, and even your older children will join in the fun. Life Over Cs has fun games that make learning fun for preschoolers. Preschool children don’t always sit still long enough to do a printable, but they will for these fun games. Each game also targets a skill so your child will still be learning while they are playing. Plus you get to spend quality time engaging with your child, so it’s a win-win. With over 1,000 free preschool printables, you will probably find what you are looking for on this website. 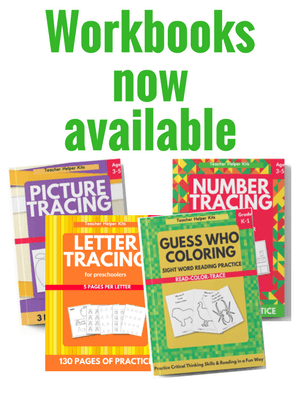 The printables are very fun and engaging for young learners. Preschool printables make it easy to teach your child. Use these websites the next time you are looking for a free preschool printable. What other websites do you visit for preschool printables? Leave a comment below and let me know! Grab my FREE Homeschool Preschool Planner and plan your preschool today!